With over 35 years experience, John can assist you with any enquiry you have. 1981 Bachelor of Arts and Bachelor of Laws, Macquarie University. 1981 Legal Training Certificate College of Law. 1981 Admitted to Supreme Court of New South Wales. 1983 Admitted to High Court of Australia. 1994 Graduate Diploma in Land Economy, UWS. 1994 Accredited Specialist, Property Law. 1995 Master of Commerce, UWS. 1999 Accredited Mediator in Building and Planning Disputes, ARDC. Member of Law Society of New South Wales. Member of the Nepean Hawkesbury Law Society. Member of Law Council of Australia. Associate of Australian Property Institute. Fellow of Taxation Institute of Australia. Member of the Society of Notaries of New South Wales Inc. Member of Environment and Planning Law Association. Member of Australian and New Zealand Sporting Lawyers Association. Over 35 years General Practice experience. Accredited specialist in Property law. Wills, Estates and Estate Planning Law. 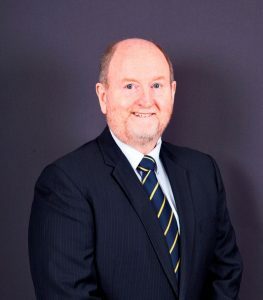 Honorary Solicitor for NSW Little Athletics Association, Penrith Netball Association, Nepean District Historical Society, Penrith Touch Football Association and Penrith Disabilities Resource Centre. Compulsory Acquisition – what happens when the Government wants your property!